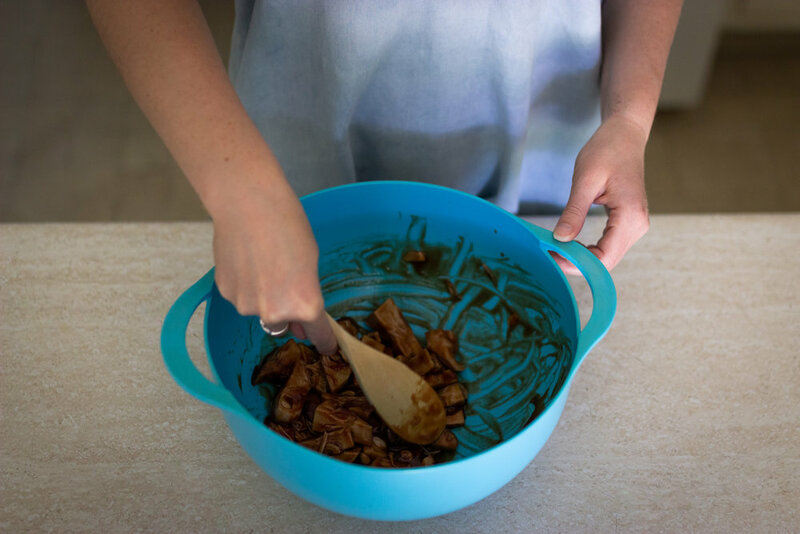 Before we start I just want to warn you that this recipe will require you to marinate the jackfruit in barbecue sauce for 1 hour before you continue with the rest of the recipe. So now would be a good time for you to skip down to the recipe and start that process. Then, while you wait for the marinating process to take place, come back here and expand upon your knowledge of jackfruit. Surprisingly, jackfruit is loaded with protein making a wonderful substitute for pork! Jackfruit is praised for its many health benefits as well. It contains vitamin A, B, and C improving your hair health and your immunity. It has many antioxidants, phytonutrients, and flavonoid which aid in preventing cancer and aging skin. It contains calcium and potassium (which will prevent the loss of calcium in the body) meaning it is great for your bone health - so I mean, who needs milk when you have jackfruit? It’s great for your skin as it contains a solid amount of dietary fiber, improving digestion and thus aiding in clearing up your skin. This recipe is a wonderful way to eat a superfood without having to feel like you’re eating a superfood. It's also perfect for those who are new to vegetarianism or veganism as it honestly tastes a lot like the pork version. The success of this recipe is also very dependent upon the barbecue sauce you use so choose wisely. Keep in mind that the jackfruit is very sweet, unlike pork, so I would suggest against choosing a sweet sauce as well. 1. 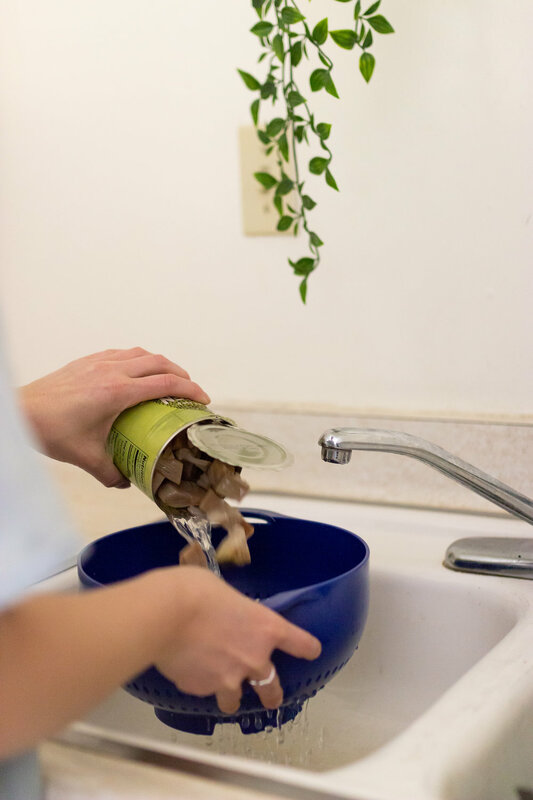 Pour the contents of the can of jackfruit into a strainer to get rid of the brine or water. Thoroughly rinse the jackfruit and shake the strainer to get rid of excess liquid. 2. 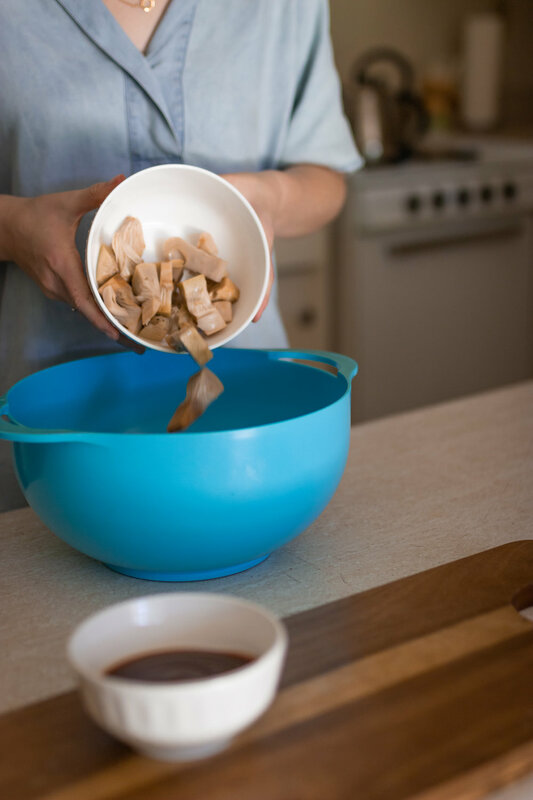 Transfer the jackfruit into a medium sized bowl and pour in enough barbecue sauce to evenly coat the jackfruit (about ½ a cup) then cover and place in the fridge to marinate for about an hour. 3. 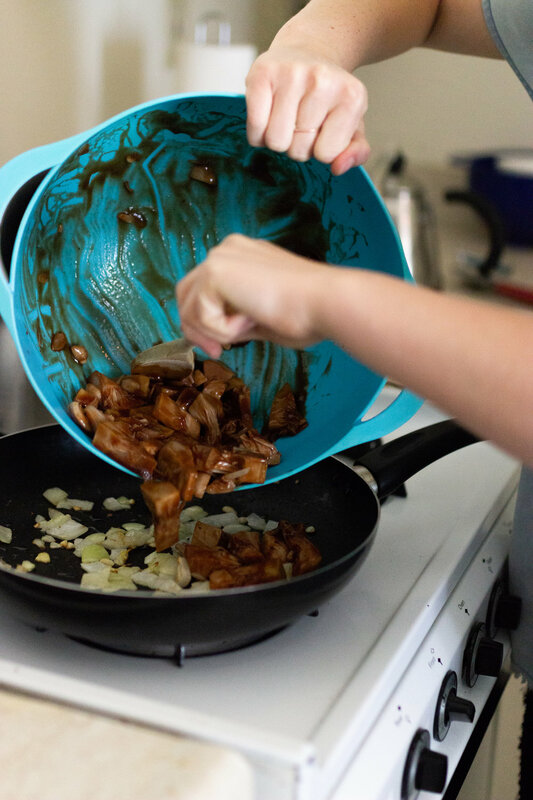 As the jackfruit marinates, chop ¼ of an onion (or add up to ½ of an onion) and the two garlic cloves, set aside. 4. Once the jackfruit is ready remove it from the fridge. Pour about a tablespoon of vegetable oil (I use grapeseed oil) into a medium pan on medium heat. Then add chopped onion and garlic. 5. Sautee for 3-5 minutes then add in the jackfruit and barbeque sauce along with ½ a cup of water. (Place the bowl aside to be used later). 6. Cover and reduce heat, simmering for 10 minutes. Stir, cover, and cook for another 10-15 minutes or until a fork can easily slice through the jackfruit without picking it up. 7. Remove from heat and transfer back to the medium sized bowl. Using a fork or mashing tool, shred the jackfruit so it resembles pulled pork. 8. Mix in smoked paprika, salt, pepper, or more barbecue sauce if you desire. Comment below to let me know your thoughts on the recipe!